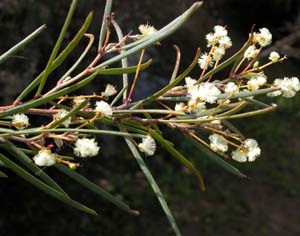 Acacia derwentiana is one of several species of Acacia with narrow, pointed phyllodes. 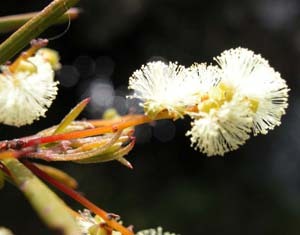 It is very similar to A. riceana, except that the phyllodes are more elongate and are not clustered. 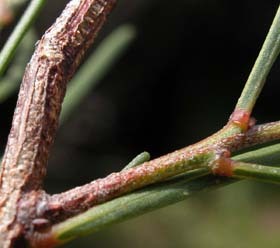 It is quite common along the banks of the Derwent River and its tributaries (including the Tyenna and Broad Rivers), as well as the tributaries of the Prosser and Carlton north and east of Hobart.